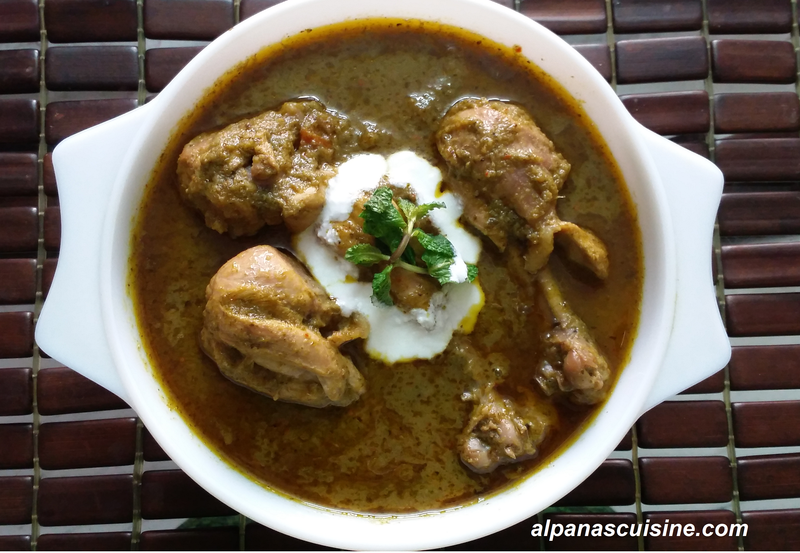 Pudina Dahi Murg is tasty and simple chicken preparation.Mint’s unique flavour makes this chicken preparation little different,fresh and light in taste.Try out this recipe and enjoy. Clean the medium size chicken pieces. Make a thick paste of onion,garlic,ginger,coriander,green chillies and mint leaves..
Then add tomato,turmeric and red chilli powder till the tomato get tender.